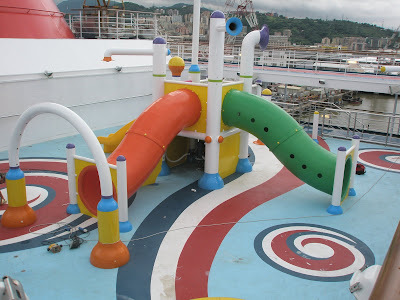 According to my son Ryan, Deck 13 is an interesting place on Carnival Cruises...see inaugural post for details. In any event, this site (est. 6/21/08) is a place for my Grandma's descendents and others to stay in the know regarding our upcoming Cruise Of A Lifetime which begins exactly five months from today! As our departure date rapidly approaches do you ever find yourself wondering "Why am I going on this trip? What will I do when I get there? What can I see there that I don't see everyday anyway?" Well, in case you have been wondering and asking yourself these questions, I thought I would send you a few pictures to explain to you exactly WHY you have chosen to scrimp and save to make this trip a reality. If you still have questions after taking this journey, you have issues that run deeper than any remedy I am aware of and all I can do is pray that you will get better with GOD's love and encouragement! Stop in and have a drink....NOT on me of course! The Amazing Atlantis Hotel and Resort....the "bridge" across the two buildings is the famous suite that Michael Jordan rented for $200,000.00 for one week. So there you have it folks....your answer to why exactly you are taking this trip. You are taking this trip because you, like me, ain't nobody's fool! 48 days to go til Paradise becomes our home!!!! Another item checked off the things to do list! 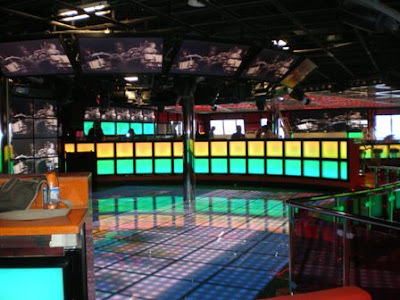 We have a home for the Thursday night we will spend in Florida before leaving on our cruise. 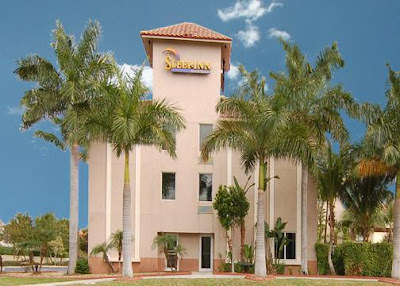 We will be staying at the Sleep Inn & Suites. I will be sending out an email to the heads of each family and you will need to follow the directions included to reserve your family's room(s). Everyone except Mary and family requested one room. Keep in mind that we have received a discounted rate for booking as a group and in order to get this rate which is $112.66 (including taxes) per room per night ($20 cheaper per room than the regular rate), we MUST reserve all ten (10) of the rooms that I blocked off by no later than Thursday, September 25th. 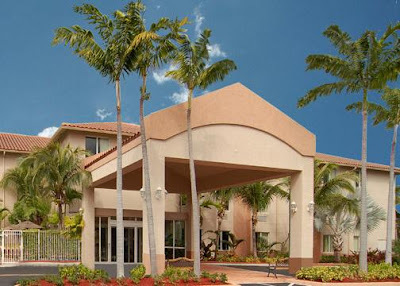 The amenities at the hotel include a courtesy shuttle which will pick us up from the airport and deliver us to the hotel on Thursday in addition to transporting us all to the cruise port at Port Everglades on Friday. 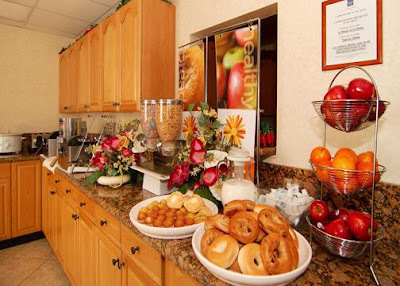 Also included in the price is a complimentary continental breakfast to send us on our way with a full tummy on Friday. 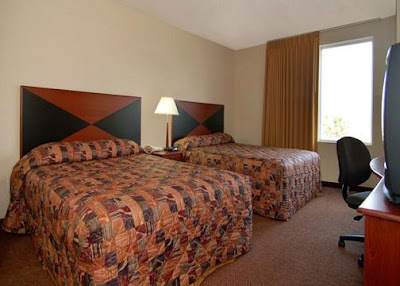 The hotel is located just minutes from both the airport and cruise port, in addition to being only a short distance from the Fort Lauderdale Beach and Sawmill Outlet Mall! As you can clearly see, though our cruise doesn't start until Friday, OUR VACATION definitely starts on THURSDAY!!!! Just so you know what to expect, here are a few snapshots of the hotel to get your juices flowing....72 days and counting and then WOO HOOOOOOOOOOOOOOOOO!!!! Gonna get in the HOT TUB....gonna make me wet! Gonna get in the HOT TUB....gonna make me sweat! 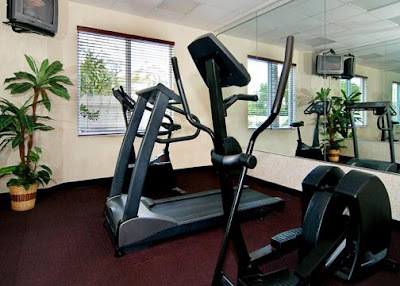 Complimentary Fitness Room.....so we can keep our girly figures straight! TICK-TOCK, TICK-TOCK, TICK-TOCK....72 days and counting and I for one can not wait....what about YOU?! Labels: Florida hotel, Pricing, Things to do lists, What's the Plan? I bet most of you didn't even know I could tell the future did you?! Well, I can!!! With 28 folks having paid their reservations in full, we can all move on to the fun stuff....getting ourselves ready to cruise! As the countdown clock to the left clearly shows, the days until we depart are racing past and every second gone brings us a second closer to our CRUISE OF A LIFETIME VACATION! So go on and see the future I see for you by clicking play on the video below and before you know it, you'll be there! Hey Fellow Cruisers of a Lifetime! Now that the final payment deadline has come and gone we can all get down to the real fun stuff....THE SHOPPING!!! Now is the time to pull out that luggage and check it for broken zippers, holes, etc. just in case it needs to be repaired or replaced. Also, with the end of August AND the end of summer fast approaching, you should be able to find all of the cute summer outfits you could ever want to take with you to the Caribbean for just a fraction of their regular prices! A word to the wise though....most first time cruisers and even some 3rd, 4th , or 5th time cruisers like myself have a tendency to OVERPACK! Keep in mind that the cabins though comfortable are small and don't have a lot of room available for storing suitcases. Whatever you bring must be stored in YOUR cabin, and every extra inch taken up by your luggage is one LESS inch you will have available to stretch out in. "What? ", you ask, "do I really need to bring?" Hopefully I can help you with that. 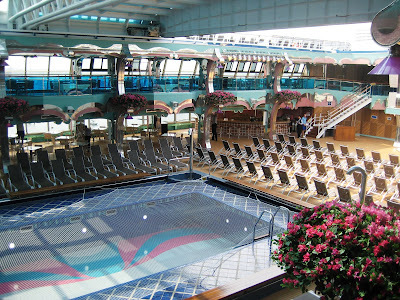 Cruises are notoriously casual for the most part. Think hanging out at home on a Saturday or Sunday afternoon and you're almost there....add a little extra "tryna look cute" effort and you'll have found your way. In terms of clothes: shorts, T-shirts, tank tops, capris, and swimsuits are pretty much the order of the day...don't forget those swimsuit cover-ups ladies unless you plan to strut your stuff without one! If you plan on an excursion that involves hiking, horseback riding, or some other active outdoor activity, you may want to include a pair of jeans. As far as dress-up clothes, there will be two "cruise-elegant" dinners served in the formal dining rooms for which the attire is dressy to formal. For men and boys this means shirts and ties minimally and preferably a jacket, sport coat, or suit. For women and girls we're talking nice slacks or skirts with blouses, dresses, or suits. Formal gowns are appropriate for those wishing to take formal pictures. 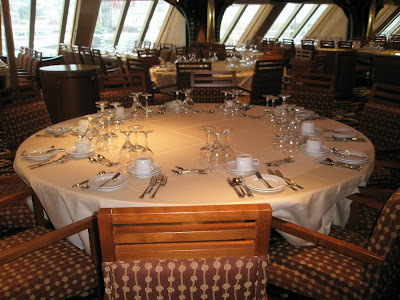 Outside of the two "cruise-elegant" evenings, dining attire is casual but does not include shorts or beachwear for adults in the formal dining rooms. I thought it might be helpful if I shared some of the "summertime items" you might want to consider picking up while you still can. 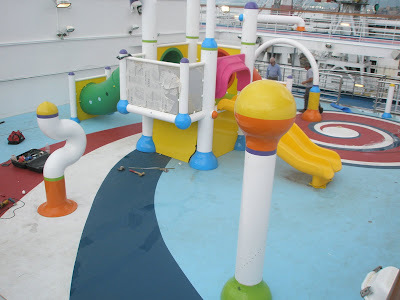 I am also going to include some other items that have been recommended by many of the regular cruisers who post information on the cruiser chat boards over at Carnival Connections and Cruise Critic. Hopefully some of you will find this information to be helpful. 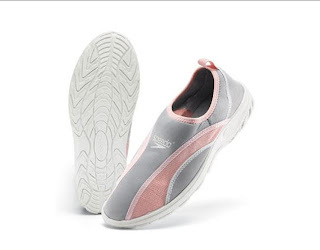 Must have fashions for any beach comber, these nylon net topped, rubber-soled shoes are a must have as many of these beautiful beaches have rocks with sharp edges buried in the sand. 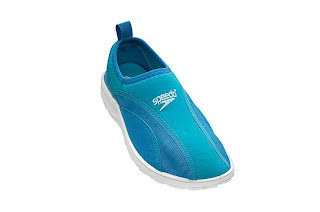 These shoes are great on the beach and on the ship so be sure to fall through Wally World, Targets, or your favorite "we have everything spot" to pick you and yours up a pair! Also, though most of you don't typically use sunscreen, you may wish to pick some up as the caribbean sun has a much higher tendency to cause sun burns even on the beautiful hues of beautiful brown folks like most of us are. For those who have booked inside cabins, it is important to note that due to the fact that these cabins have no windows or portholes, they are very dark when the lights are turned out no matter what time of day it is. 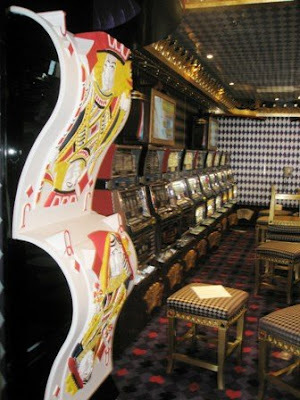 Therefore, many regular cruisers recommend that those in these cabins plan to bring a night light to plug into an outlet so that you will be able to find your way to the bathroom during the night without injuring yourselves. 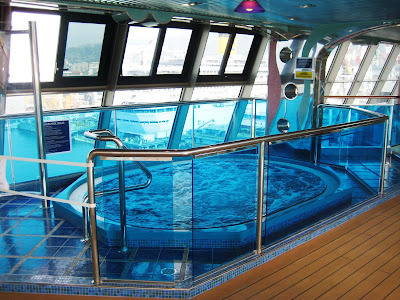 Also, when aboard a ship, most people tend to lose track of time. 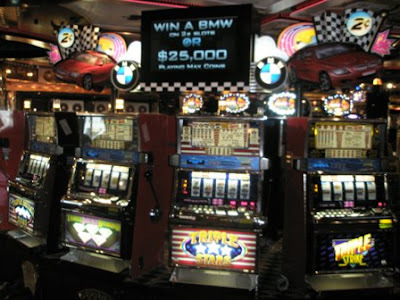 Therefore, there are many recommendations to bring a small alarm clock to wake you up in the mornings in time to catch breakfast on the Lido deck or any of the scores of early morning activities in which you may wish to participate. Another recommendation is for those of you who find that you need multiple outlets to power your curling irons, cell phone chargers, etc. 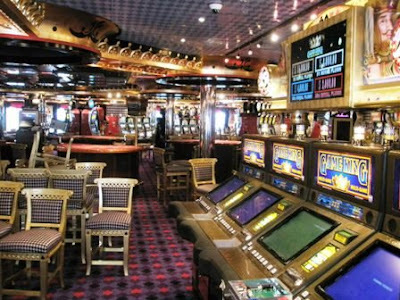 Most cruise ship cabins have only one or two outlets so many cruisers pack a power strip in order to facilitate plugging in all of their technological apparatus. The last recommendation for today is to pack a collapsible duffle bag in the bottom of your luggage. This will provide you with something in which to pack the souvenirs and other purchases you make while we are gone. Well folks the time is ticking away and right now we are less than 3 months away from our departure. Don't get caught waiting until the last minute to get yourself together because that time will pass faster than you ever imagined it could! Financial plans should have been made for accumulating the final payments due August 22, 2008. Payments can be forwarded directly to the travel agent by using the Group Additional Payment Form that can be found on the website. Follow the instructions on the form and email the form directly to Tammy Roan as directed BEFORE 8/22/08. Payments can be made using a credit OR debit card. Remember to copy Sharon on your payment email to make it easier to track our group's progress on this task. Researching/purchasing flights to Florida -- some of us have already purchased one-way flights to Florida, but due to the unexpectedly high ticket price for the return trip, we have decided to rent mini-vans and drive back in order to be more economical. Contact Sharon if you are interested in this means of return transportation. If you don't already have one, you should get a debit or credit card (adults only) as one will be required to "guarantee" any charges you make aboard ship with your Sign and Sail card. Pack your bags for the cruise of a lifetime! Remember to resist the urge to overpack as some airlines are now charging a baggage fee (not Southwest, but AirTrans charges $0 for first bag and $10 for each additional bag per passenger). Catching the end-of-summer sales for cheap, cute, summer clothes and swim suits to bring with you on the ship. Purchasing formal wear if you don't already own it for the 1-2 formal dinner nights on the ship. Checking out the links to the left to see which excursions (if any) you and/or your family members would like to take so that you can budget accordingly for any associated costs. Saving cash for any spending monies you wish to have available. HAVE AN ABSOLUTELY AWESOME TIME!!! Feel free to leave a comment on any post by simply clicking comments and typing your comment. You do not have to register or create a blog, but be aware that your comment will show up as having been posted by anonymous so remember to type your name in your comment if you require a response. Labels: countdown, Things to do lists, What's the Plan? If You're Lucky You Get What You Pay For...THIS TIME You Get So Much More!!! 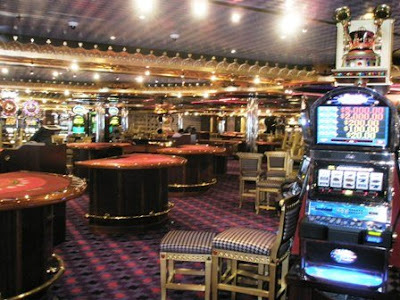 Let's start our tour by dropping in to the place where much of the fun happens on any cruise ship, THE LIDO DECK. 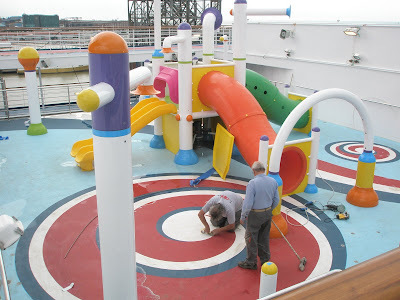 It is on the LIDO DECK that many of the planned activities aboard ship take place. 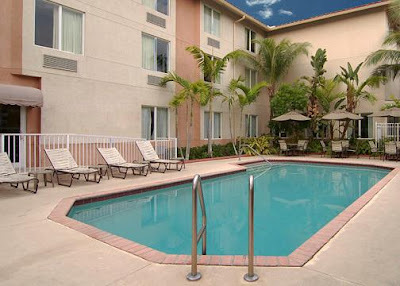 It is a great place to meet other passengers, hang out either in the pool or if you're very cute and wear that swim suit well, you can simply lay around and DECORATE the side of the pool with your beautiful self! 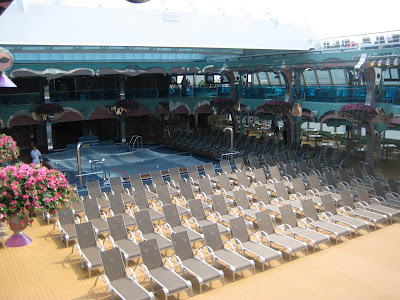 If by some chance you are just not a pool person, you can still enjoy spending time on THE LIDO DECK on the Spectacular Carnival SPLENDOR because there are still things for you to do here as Carnival took the time to place a (are you ready for this?!) POOLSIDE MOVIE SCREEN on the deck where they will show first run movies that are still in theaters! Also, being the great host that the cruise line has come to be known as, Carnival made sure to place not one but TWO poolside bars on the LIDO DECK so whether you are in the pool, using your beautiful self to decorate the side of the pool, or taking in a movie beside the pool, refreshments will never be further than a waiter or a hop, skip, or a jump away! Okay, let's move now to one of the things Carnival is most well known for: EATING! If you don't already know about the vast amounts of GOOD FOOD available to you on a Carnival Cruise you'd better ask some body! 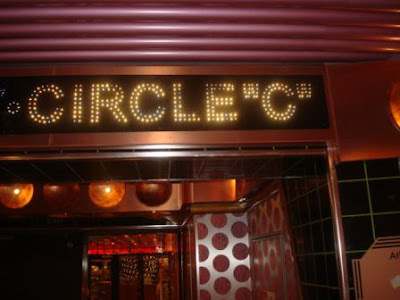 Believe me when I say you can GET YOUR EAT ON 24 hours a day for the duration of the trip if that is what you wish to do, and to make it even better, (with the exception of the reservations only supper club called Pinnacle) all this eating is INCLUDED IN THE PRICE OF THE CRUISE!!! So let's see some of the places you can indulge your apetite. 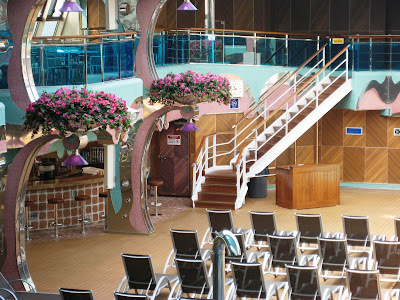 The LIDO DECK RESTAURANT is a great place for casual dining and some parts of it are open around the clock. 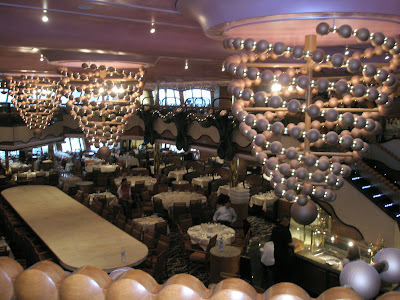 The Lido Deck Restaurant has a great buffet style of dining that has more varieties of foods than I can begin to tell you about here. 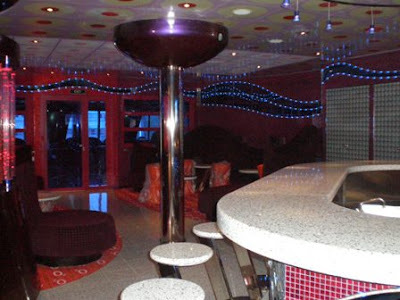 Most cruisers tend to eat breakfast and lunch here and dinner in the dining rooms which I will tell you about a bit later, but the important thing to remember is that it is YOUR CHOICE. 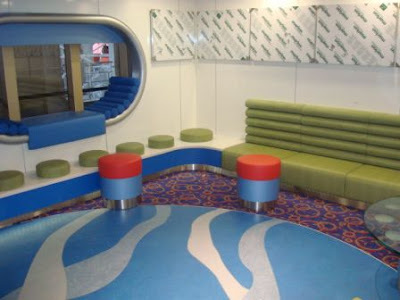 There is a ton of seating that will accommodate couples, families, and even groups as large as the one we will be traveling with. 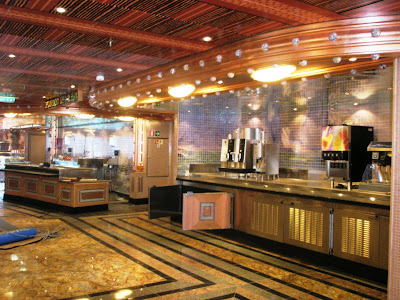 Also on the LIDO DECK is a 24 hour pizzeria, a deli, and a grill which provide other options for getting your eat on! 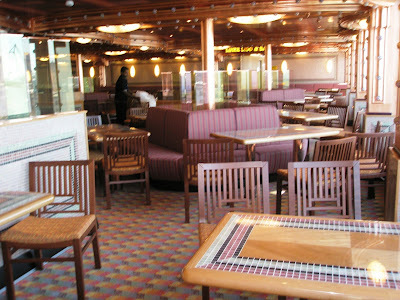 Another dining option for cruisers is to eat in what are known as the formal dining rooms. 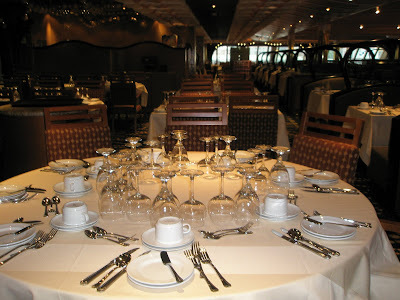 On the Spectacular Carnival SPLENDOR, there are two dining rooms. 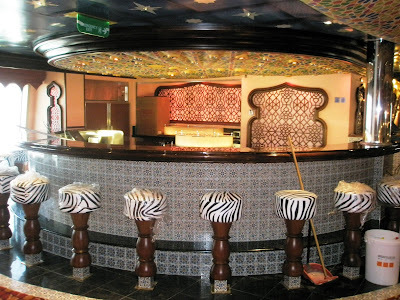 They are known as The Black Pearl Restaurant and The Gold Pearl Restaurant. Our group will be assigned seating in one or the other once our final payments have been made and our tickets are processed. What this means is that we will have a standing reservation for dinner in our assigned dining room each evening of the cruise at the same time (I requested the late seating which means if it is available we will have reservations at either 8pm or 8:30pm depending on the dining room to which we are assigned). 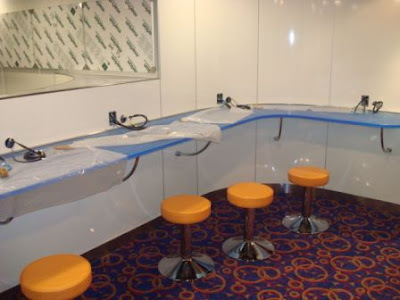 We will be seated together or minimally at tables that are close to each other and will have the same waiters serving our meals every night of the cruise. 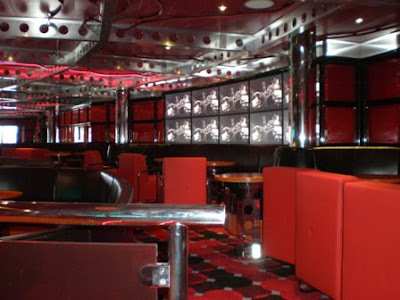 Keep in mind that this reservation will be available to each of us every night of the cruise. However, you DO NOT HAVE TO HAVE DINNER IN THE DINING ROOM IF YOU DON'T WANT TO. It is completely up to you and you do not need to cancel your reservation if you choose to eat elsewhere instead. The option is simply available to you if you choose to use it. There is a dress code that dictates nice casual attire -- this means no cut-off shorts, tank tops for men, etc. 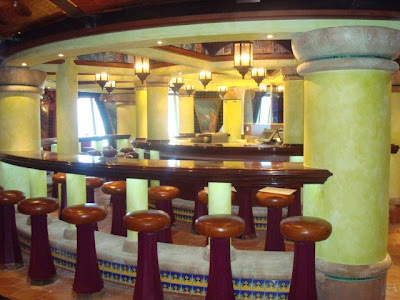 Meals are ordered from a menu and served by waiters. You may order whatever you want...if you want to try each entree, you may order and WILL be served one of each or whatever you order. You may order seconds of anything you enjoy. 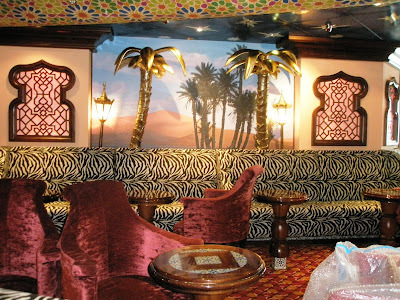 Two nights during the cruise the dining room dress code will be CRUISE ELEGANT only. On these two nights, men are required to wear slacks, shirts with collars, and a jacket. Women must wear nice clothes (i.e. dress slacks, suits, or dresses). In the past these were the formal nights on the ship and Carnival still encourages formal dress on these nights though it is NO LONGER REQUIRED. 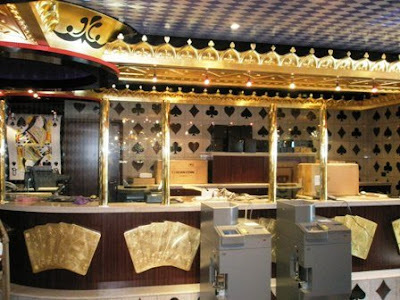 So, with that said, here are pictures of THE GOLD PEARL RESTAURANT...I was unable to find pictures of THE BLACK PEARL at the time this was written. Here's an example of what you can expect when you walk into dinner in either of The Pearls. The last dining option I wanted to share is for those of you who may be more adventurous with their food or who may be interested in trying something new. 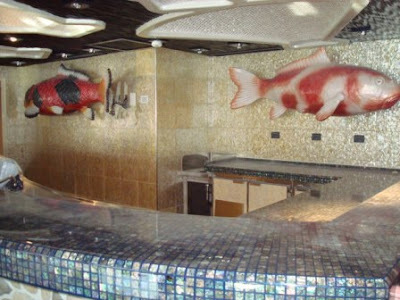 The spectacular SPLENDOR has its very own sushi bar where you can indulge your palate in the delicacy of RAW SEAFOOD. Me, I'll pass on this one, but for the more adventurous palates among us (ANGIE, this means you ;) have at it! Each of these camps provides activities, facilities, and even group excursions that are age appropriate for the kids to whom they cater. For the Camp Carnival kids, the Water Park was conceived. 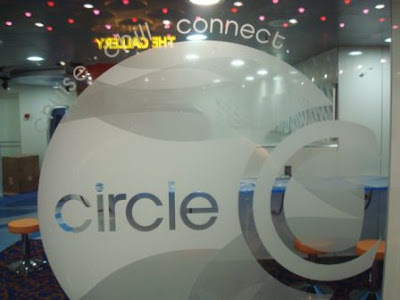 For the Circle C Camp participants, Carnival has created their very own facility which is equipped with video games including Wii. For those young adults who fall in the 15-17 year old age group, Carnival has created Club O2 and basically given this lucky group their own facility where they have plenty of room to breathe. With their own facility and dance club, this group can have a great vacation where they can party without interference from parents. 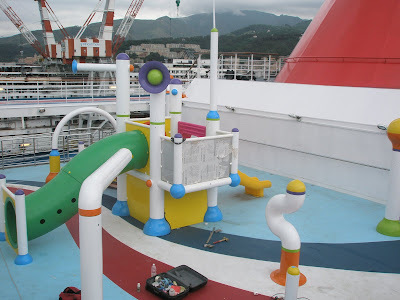 That's the stuff that Carnival has available for kids, now let's see what there is for adults to do! 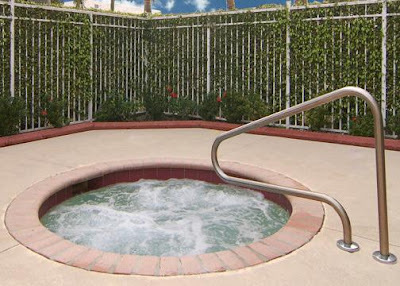 Well, there are hot tubs which are reserved for adults only. Then there are the many bars where adults can congregate for a good time. 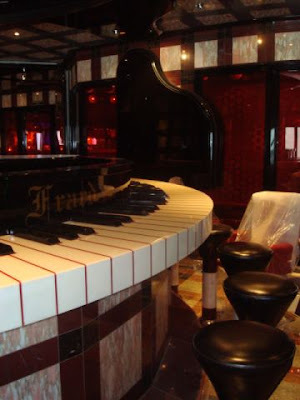 Let's take a quick run through some of the bars that are onboard this amazing ship. 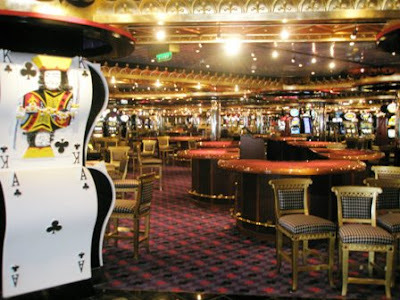 Let's not forget about THE ROYAL FLUSH CASINO where any one of us has the potential to win back all of the funds we laid out to get on this fantastic floating vacation. 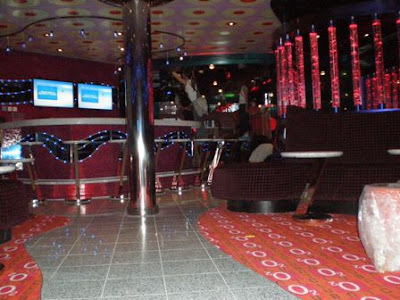 After you've taken all the casino's money off its hands, you can still go dance the night away in the Red Carpet Club which is exclusively the party place of adults every night after 10pm. When you get to the Red Carpet, you will find "The Beautiful People" waiting on line to get in as YOU the celebrity onboard sail right on through to the flash of the paparazzi's cameras! 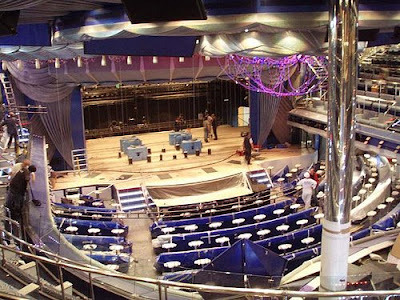 The last thing I'll showcase in this post, is the theater where all of the wonderful shows we will see will take place. 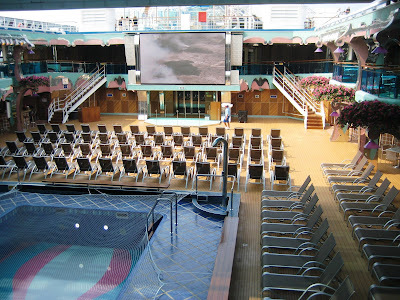 The theater on the Spectacular Carnival SPLENDOR is called THE SPECTACULAR SPECTACULAR and it is here that we will discover yet again what a great bargain this vacation is as we attend Vegas style shows for no extra cost! 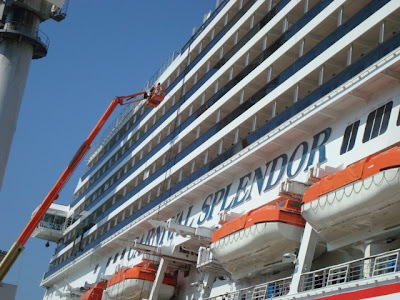 So there you have it fellow cruisers, the inside story as to why the Carnival SPLENDOR represents so much more than what you've paid for! As you can surely see from these pictures, we are in for the time of our lives and I don't know about you, but I can barely wait!!! Labels: All aboard, How Splendid is Splendor? 29 Folks Have Reserved Their Cabins!!! Sharon J., Ryan J., Ruth J. aka Patsy, Mary E. aka Grandma, Angela W., LaRoy W., Nathan W., Darius S., Mary E-F., Michael F., Sean F., Nicole F., Mikey F., Roy J. aka Dee, Dwayne J., Jackie J., Gary C., Brandon J., Armani J., Justin J., Crystal C., Gabby C., Valerie E., Kayla E., Chris J., Katrina J., Carmen W., Timon E., Tracy E.
Get Ready Cause Here We Come! DON'T FORGET TO VOTE...GROUP EXCURSION ANYONE?? 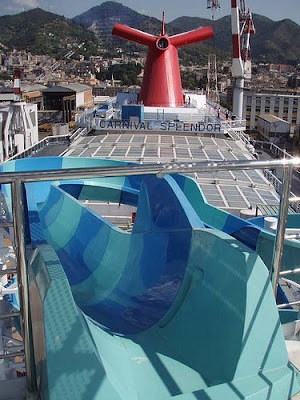 GREAT PICTURES OF CARNIVAL SPLENDOR!!! If You Need It...Click Below And I'll Take You There! COUNTDOWN TO THE CRUISE OF A LIFETIME!! !